The Lavera Organic Beauty & Care Lip Balm moisturizes and deeply nourishes the lips. Enriched with cocoa butter and organic almond milk, it soothes the lips and protects against skin dryness and cold. In addition to being a care for the lips, it brings them brilliance thanks to its color delicately pink and brilliant! 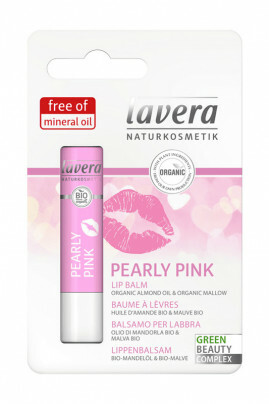 Lavera Organic Beauty & Care Lip Balm reveals the natural beauty of your lips while moisturizing them! Soft, colorful lips with this Lavera Beauty & Care Lip Balm! Apply this stick daily to bring softness and comfort to your lips! You can use it as many times as necessary. Organic ingredients for soft lips!